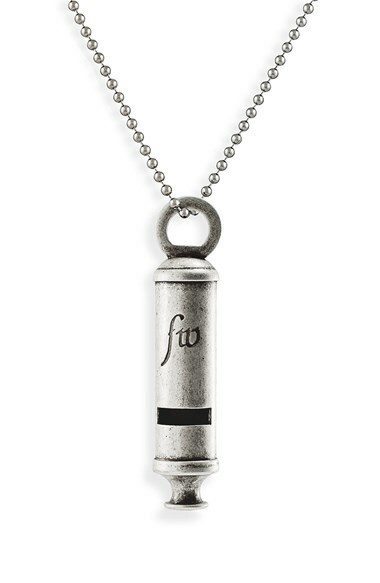 Falling Whistles gives palpable meaning to the words "statement jewelry." In 2008, adventurer and activist Sean Carasso traveled to the Democratic Republic of Congo, where one of the world’s most savage wars has dragged on for decades. He learned children too small to carry weapons were being sent ahead of troops to the front lines to blow whistles warning soldiers of approaching enemy fire. Horrified and appalled, Carasso and friends began to spread the word...and Falling Whistles was conceived. The whistle pendant designs are very similar to those worn by the children. These powerful pieces were created not only to aid those affected by this merciless war, but as a statement of shared intention to end this heinous practice. Today Falling Whistles works alongside Congolese community leaders to help war-affected children with rehabilitation programs and to help advocate their freedom. 100 percent of all proceeds are invested back into Falling Whistles. I am Smitten with this campaign, this movement!